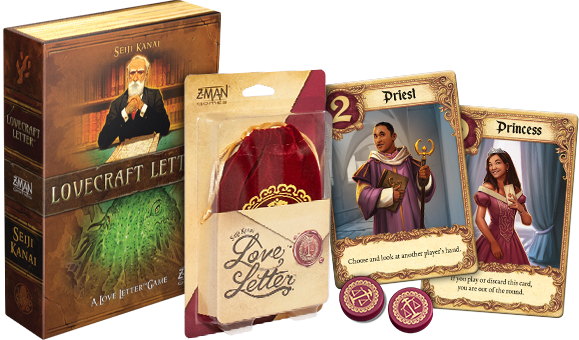 Win the heart of the Princess by delivering your love letter in this quintessential card game. 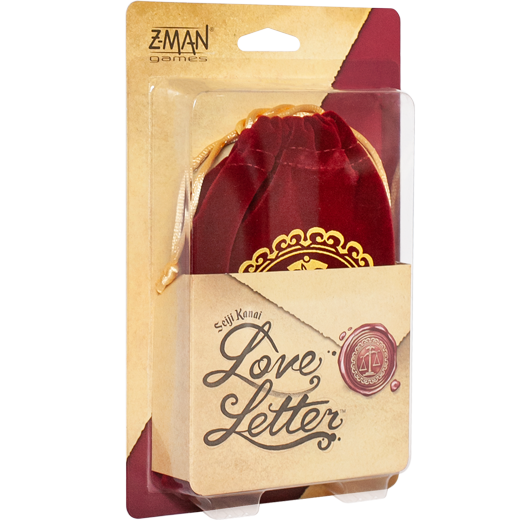 Will your love letter woo the Princess and win her heart? Utilize the characters in the castle to secretly carry your message to the Princess, earning her affection. 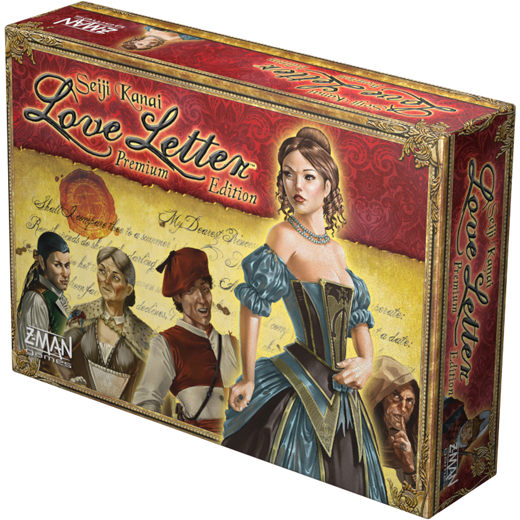 Love Letter is a game of risk, deduction, and luck. Designed by Seiji Kanai, the game features simple rules that create dynamic and fun player interactions. Players attempt to deliver their love letter into the Princess’s hands while keeping other players’ letters away. Powerful cards lead to early gains, but make you a target. 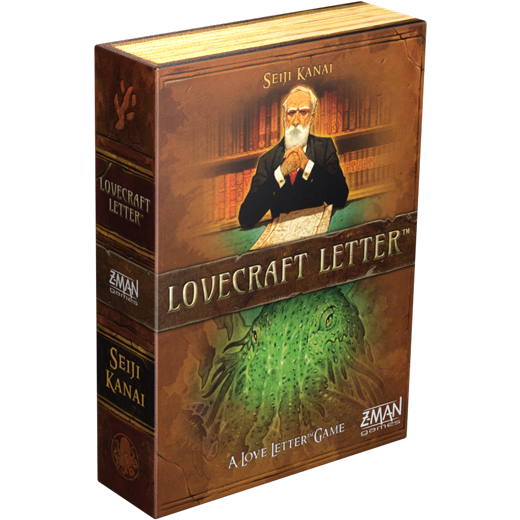 Rely on weaker cards for too long and your letter may be tossed in the fire! In a quick game of risk and deduction, can you outwit your friends and earn the trust of the noble Princess? This new edition of the classic game features brand-new art, screenprinted tokens, and an increased player count. Win the heart of the Princess in this premium edition of the essential card game, featuring tarot-sized cards and new characters. 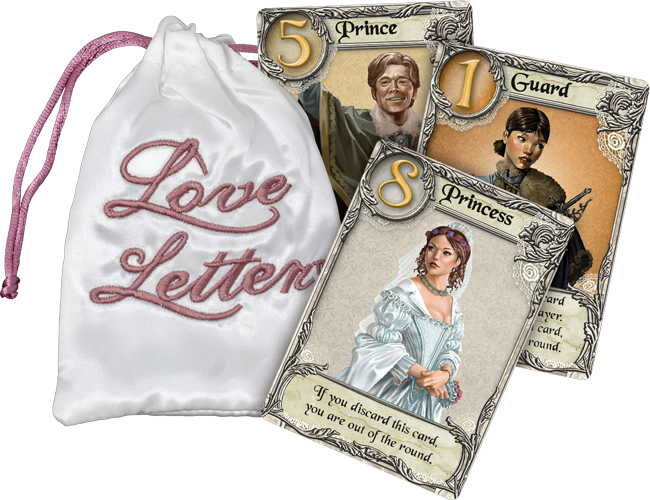 In this special Wedding Edition of the classic Love Letter game, the Princess is ready to walk down the aisle in a flowing white dress, but only for the right suitor.